According to the UK Alzheimer’s Society, “There are 850,000 people with Dementia in the UK, with numbers set to rise to over 1 million by 2025. This will soar to 2 million by 2051.” This is important to note because this disease not only takes a toll on the patient themselves, but it takes a toll on the caregiver and other medical providers for the patient. Having Alzheimer’s can be frustrating for the patient as they lose their ability to do and remember things. And it is physically and emotionally draining on the loved ones who are watching their once vibrant family member or friend slowly change. Alzheimer’s and Dementia often get mixed up in the same context as if they are the same thing. This is normal because they both have very similar symptoms. However, Alzheimer’s is the most common form of dementia and the varying types of Dementia have similar symptoms. For example, memory loss, forgetfulness, slower thinking, reduced mental agility, changes in ability to perform everyday tasks such as cooking and cleaning, and mood changes all touch each spectrum of dementia. Depending on the person and their individual situation, symptoms may show at varying speeds. More formally, according to WebMD, “Dementia is the name for a group of brain disorders that make it hard to remember, think clearly, make decisions, or even control your emotions. 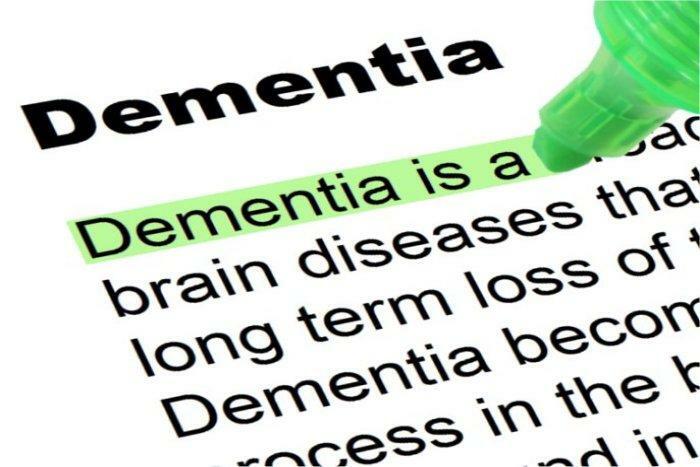 Alzheimer’s disease is one of those disorders, but there are many different types and causes of dementia.” Dementia is the umbrella under which Alzheimer’s falls, and this can cause people to think they are one and the same. However, there are some differences. Dementia is classified when someone has two of the following symptoms. It is not just about simple memory mishaps. Since symptoms are similar to the different types of Dementia, it can be hard for a doctor to diagnose which type the patient has. Thus, you’ll need to notice all the symptoms and provide a history of any major traumas, drug or alcohol use, or other issues in order to get the most accurate diagnosis. This includes any actions that the person is doing such as forgetting where they parked or wandering off aimlessly. Below is a list of symptoms that overlap for dementia and Alzheimer’s and symptoms of Alzheimer’s. As stated earlier, Alzheimer’s is the most common form of dementia. Alzheimer’s happens when proteins (called plaques) and fibers (called tangles) build up in your brain and block nerve signals and destroy nerve cells. This directly affects memory and is progressive. This makes it hard over time to carry on a conversation, do basic things like tell time, and even use the bathroom. The disease is devastating. The life span from diagnosis to death can be as little as three years in people over 80 and longer for younger people, according to Healthline. Another distinct difference between Dementia and Alzheimer’s is treatment. While the causes of some forms of Dementia can be treated, which may help, Alzheimer’s is non-reversible. In most cases, Dementia isn’t reversible. However, many forms are treatable and the right medication can help manage Dementia. Treatments for Dementia will depend on the cause. Care of your loved one who has either disease is the most important variable that both diseases have in common. That is where Telecare24 comes into play. We have technologies as simple as wearable sensors that your loved ones can wear that can alert you to a fall or some other concern. To find out more about which product can best help your loved one’s specific form of Dementia or Alzheimer’s, contact us today. World Alzheimer’s Month takes place during September 2017.